2. Sit quietly in a public place and pick out an area 10 to 20 feet in diameter surrounding you. Close your eyes and relax. Tell yourself to notice when someone enters the area. When you 'feel' someone enter your area, open your eyes to check your accuracy. 4. Take a notebook and pencil or pen with you to a public place where you can sit down, for example a park. Sitting on the park bench, select a person nearby. Begin writing whatever comes to you about that person. Are they happy or sad, do they have children or pets, what type personality do they have, etc... Relax and just absorb what you feel from the energy around the person. This is just a practice exercise and does not need to be validated. You don't have to approach the person to ask how your results compare to their lives. Just give yourself the practice of observing the energies of various people. Don't get discouraged if you don't immediately get the results you want. Keep practicing and over time you will find your abilities improve. The main thing is to enjoy the process and the exercises. Don't concentrate as much on the results as on what you are doing to achieve them. The more fun you have with it, the more relaxed you will be and the more your unconscious channels will open. And don't forget to practice, practice, practice! Online Magic School – What Can You Learn? Magic is the science of first understanding and then using to our benefit the principles that govern this Universe. Everything in this Universe is comprised of a mixture of the four elements air, fire, water and earth. The study of magic is the study of these elements - their characteristics, their behaviors, the parts of the Universe that they govern, and their interaction with each other. Understanding and directly working with these elements allows us to understand anything in the Universe. When we understand something at such a precise level, we can create it. In short, Magic teaches us to understand and create anything we choose in this Universe. When people ask, "Can I really learn magic through an online magic school? ", we are able to answer yes because of the way magic is taught at the Esoteric School of Shamanism and Magic as a precision science. The techniques taught in our school are verifiable, repeatable and precise. There are many different disciplines of magic throughout the world and many practices are best learned through a mentor or physical teacher in order to learn the traditions and practices. The techniques we teach through the Esoteric School of Shamanism and Magic can absolutely be taught through online magic courses with the use of class notes, videos and audio file instruction since they are taught as a precise study that allows their duplication again and again. Towards the end of the Basic Magic course, students also learn how to read the tarot and create and use safe, effective spells. Spells can be used to attract money, manifest jobs, deepen relationships, or achieve any number of aims or goals. We use the tarot to find out whether a spell is needed and appropriate, and whether a proposed spell will be effective. As you can see there is a lot to learn from an online magic school and this is just the Beginning Magic Course. We also have advanced studies in magic and Shamanism classes. 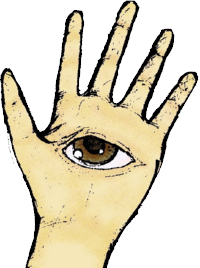 You can get answers to more questions you might have about magic and how the magic classes at the Esoteric School work on our FAQs page. There is even a link you can follow from there to see what the class notes, audios and videos are like. When we decided years ago to start this school, we chose the format we use so that we could offer these teachings to people regardless of geographic area. If we held classes in just one physical location, we would have missed the great students we have had over the years from all over the U.S. and many other countries as well. Online classes, ebooks and homestudy options allow us to spread the magic around and insure these ancient teachings survive. We are pleased to be able to offer the complete 30 week Basic Magic Homestudy Course at a 25% discount for the month of August. You can see all the details of this course and place your order in our school store.